The assumption behind these questions is that every company is truly unique and either through its product offerings or its services is different from other companies in its category and with which it competes. My experience is that more often than not, there are neither significant nor fundamental differences among competing companies in terms of their products and services. I have seen overwhelming similarity in professional service firms, engineering and technology companies, manufacturers and more. This lack of absolute uniqueness in terms of tangible deliverables does not mean that each company is unable to own a unique brand position that it can leverage as a competitive weapon in the marketplace, differentiate itself and motivate prospects and customers to action. Years ago there was a gasoline that told you they gave your car pep because they had octane. They didn’t tell you all gasoline had octane. They only told you they did. Very often, a differentiating brand position is based on a commonly shared characteristic that one company found a way to make its own. 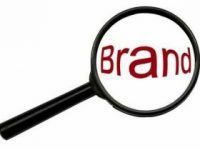 A key to brand strategy is to find the brand promise you can own, that your competitors perhaps can’t own but more likely is that they can own the same promise, but just haven’t, that your customers and prospects will find compelling. A blog entitled, “Every Company Has an O.P.O (Optimum Positioning Opportunity). What is Yours?” found here, speaks to this very issue. A potential strategy for many service companies that will brand and differentiate them is to codify, name and “productize” the process by which they either manage projects or provide customer care. Like a house brand, no competitor, even if they provide the same process can duplicate the brand created. “How Can Be More Compelling Than What”, discusses this strategic approach. Click here to learn more. As you face the task of defining or refining your brand, don’t be discouraged if you are unable to define a U.S.P. that is yours and yours alone. Even if you don’t have a U.S.P., you can still identify your O.P.O. and own a unique and compelling brand position.